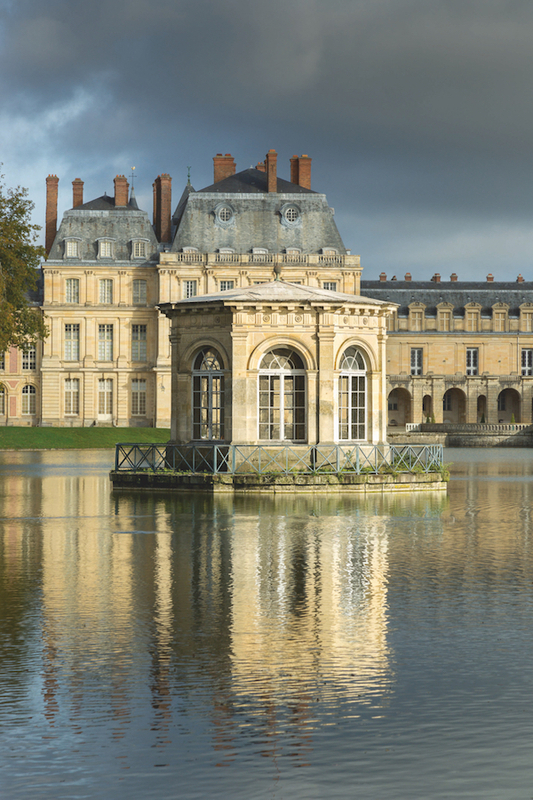 With over 1,500 rooms on 130 acres of park and gardens, it was one of the few royal residences left intact after the ravages of the French Revolution. Over the centuries, kings and emperors have made their mark on the château and this beautifully packaged volume, similar to the splendid A Day at Château de Vaux le Vicomte, explores the traditions, art and lives lived in the legendary palace. Originally built in the 12th century by Louis VII, it was under François I that the château saw great change. With a passion for the arts, particularly architecture, he made many improvements and expansions. Taking advantage of his military campaigns to Italy, he invited several Italian artists to France, including Rosso Fiorentino, who he enlisted to decorate the château. 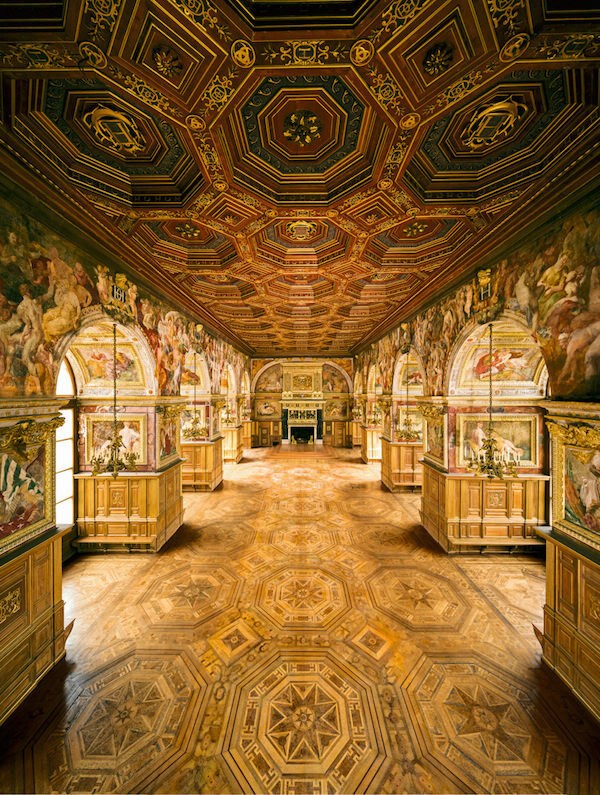 The gallery, below, embellished with intricate carved panels by Scibec da Carpi and allegorical Michelangelo-influenced frescoes celebrating the wisdom and virtue of the king, remains his masterpiece. The second son of François I, Henri II was a king with a great knowledge and appreciation of the arts. He was also a great builder, with the Louvre as his first project. 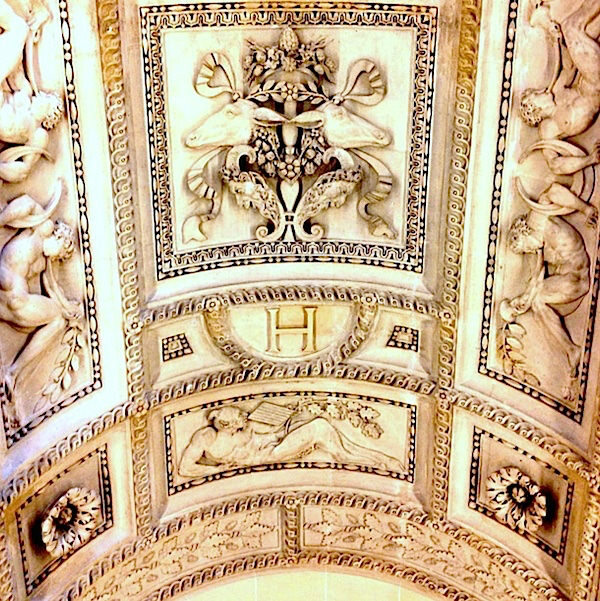 My instagram of the ceiling of the Henri II stairway at the Louvre, below, shows his monogram, the letter H, as well as symbols of Diana, goddess of hunting, referencing one of his favorite pastimes. Through the years, other rulers added their imprints to the royal residence, until the revolution at the end of the 18th century. While the furnishings, from furniture and tapestries to chandeliers, mirrors and even window frames were removed, the architecture and decorative details remained completely intact. 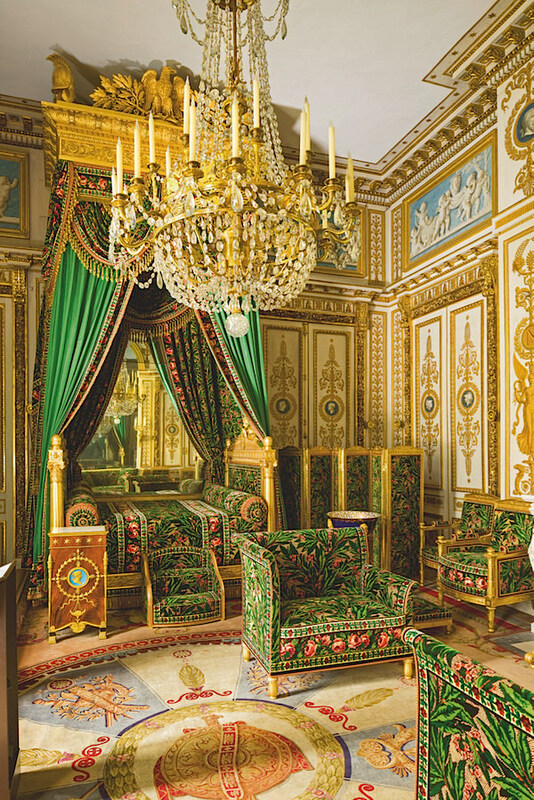 In 1804, the newly crowned emperor, Napoleon I, decided to make Fontainebleau his imperial palace. He did more than anyone to restore the Château de Fontainebleau, refurbishing it immediately after the Revolution in preparation for the arrival of Pope Pius VII in 1804. In a mere nineteen days, forty main apartments, 200 lodgings for the pope’s party and stables for 400 horses were ready. His bedchamber, above, features an ornately decorated velvet that was rewoven in the late 20th century to match the original. It wasn’t until Louis-Philippe took the throne in 1830 that there was renewed interest in Fontainebleau. 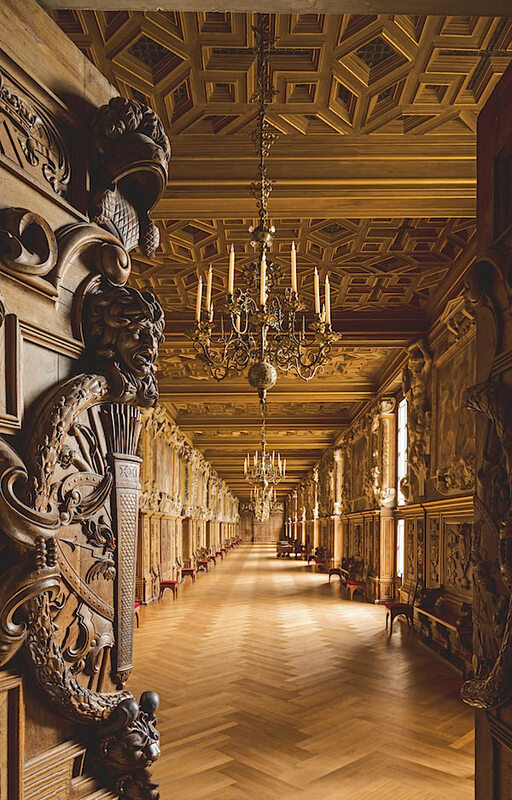 He saw himself as the restorer of the château with its distinguished royal history and carried out extensive restoration work using the decorative arts to celebrate the monarchy and history of France. 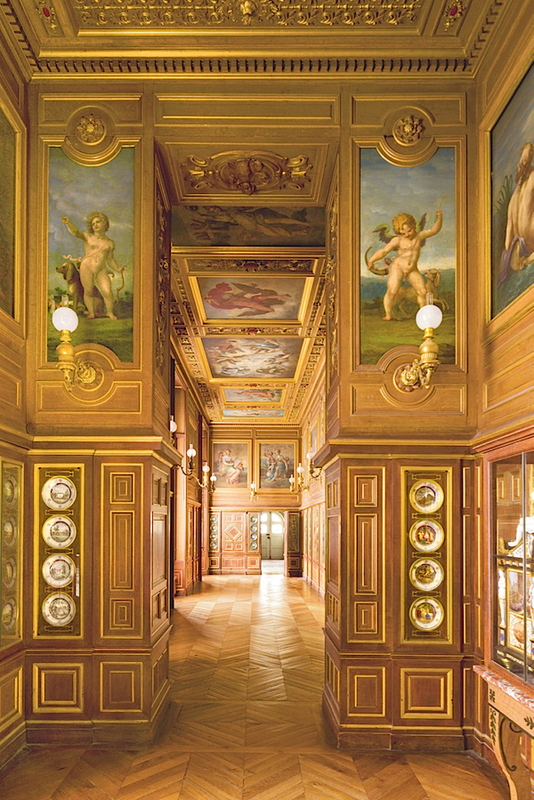 The Plates Gallery, above, created in 1840, has paneling hung with 128 porcelain plates which trace the history of the chateau from its beginnings through his reign. 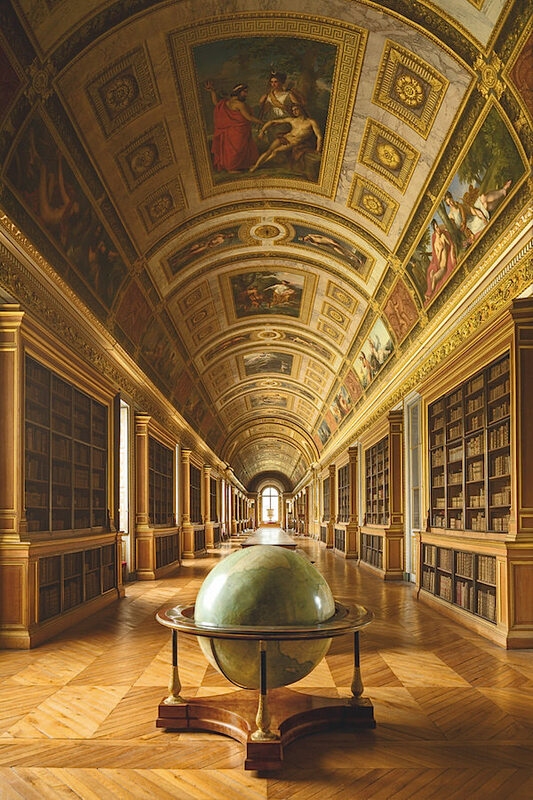 A highlight from Napoléon III’s reign was the transformation of the Diana Gallery, which had become a banquet hall under Louis-Philippe into this spectacular library with large terrestrial globe, above. A Day at Château de Fontainebleau also highlights the many celebrations and entertainment that took place at the palace. Starting in the 18th c. with programming established by Louis XV’s mistresses and later Marie Antoinette, Fontainebleau hosted many live performances which continued into the second empire with Napoléon III and Eugénie. 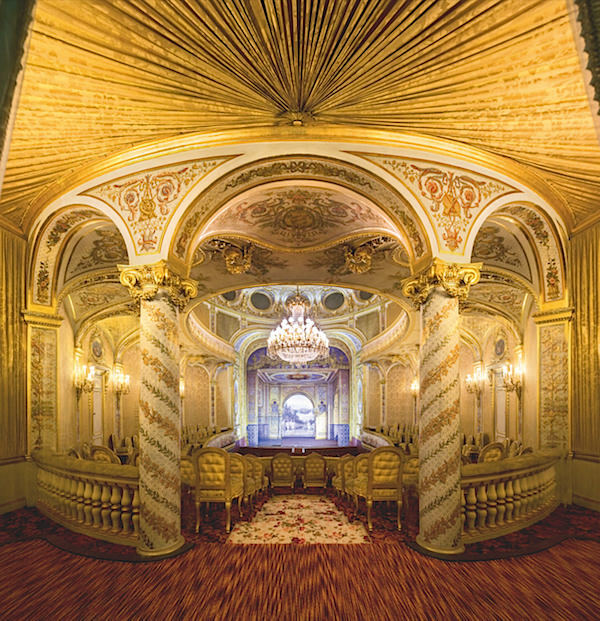 Several times a week, the court would watch performances by the Comédie-Françcaise or concerts and Napoleon III replaced the old theater with a state-of-the-art 400 seat one, above, “equipped with all the latest features: vestibules, staircases, salons, a stage and under-stage area, as well as facilities for the actors, musicians, and stagehands.” Closed for 150 years, the theater was finally reopened in 2014. 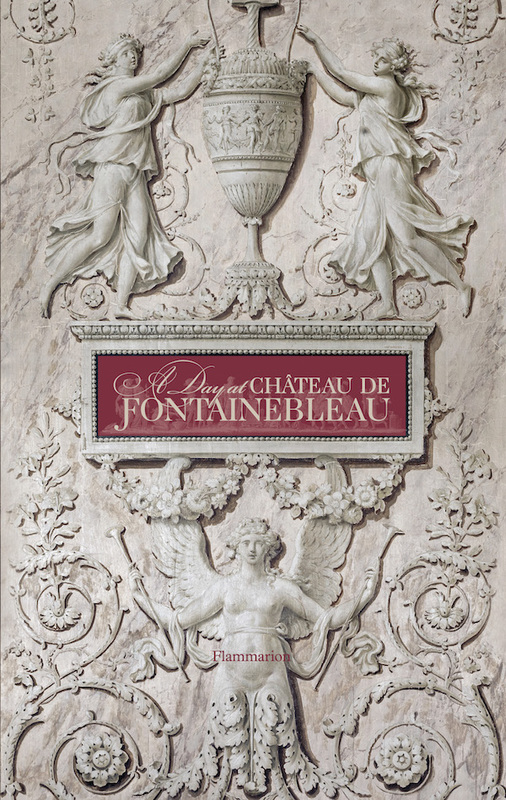 The book also brings to life many other aspects of the château from rare objects and works of art to the hunting excursions and grand parties at this French historical landmark. This entry posted in architecture, art, art history, books, design, history, interior design, travel. Entry Tags: Books, Château de Fontainebleau, decorative arts, Design, France, French Chateaux, history, interior design Bookmark the permalink. I spent a summer there as a student years ago and loved it. Although not as visited as Versailles, it is very interesting none-the-less. This is one of the many places on my list. I doubt that a day could begin to do it justice, although a full day at Fountainbleau might make for art & architectural overload. It must be like, in a much much larger way, the feeling you get when you go to the second floor of the Scuola San Rocco in Venezia and behold the football field sized Tintoretto on the ceiling. Overwhelming! Thanks. 80 queries in 0.559 seconds.